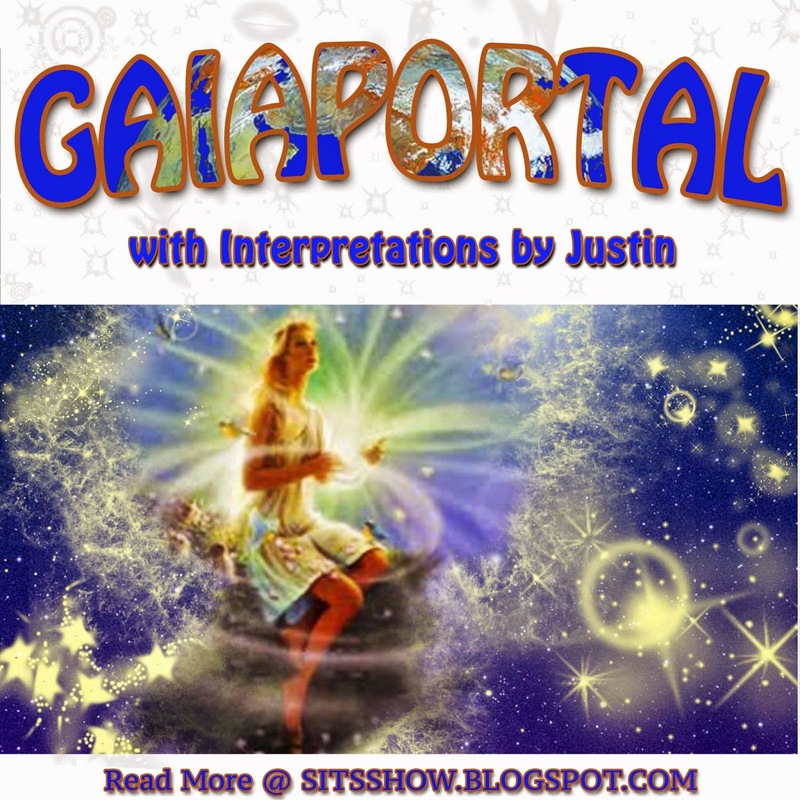 Interpretations: “Refinements of Light Beings leads to connections of Gaia portals.” – The term refinement refers to the process of removing impurities or unwanted elements from a substance or thing. The metaphysical application of the concept of refinement is the process of restoring harmony and balance within the mind, the removal of false concepts and negative knowledge that blocks consciousness evolution. All words with the suffix ment relate to themental planes in some way. Consider that the refinement of one’s knowledge is a process of seeking for errors in comprehension, filling them with awareness so as to enable the conscious to organize new insights holistically. If the truth is ONE, a singular infinite and all-encompassing reality, then our task as creatures is to reflect this within ourselves in a similar way. Our knowledge, like the truth, must be ONE—a holistic reflection of what IS. Any point of divergence (when our knowledge does not match reality) is an impurity that must be refined. In the act of doing so, we unlock powers of creativity, inspiration, and the so-called ascended abilities of enhanced psychic perception. It is this latter category which the Beings of Light employ in the service of Gaia and the ALL to effect the plans of creation. Light is a term that symbolically represents wisdom or true knowledge. Wisdom is not merely the creation of intellectual knowledge, it is also the expression of truth in an emotional and physiological way. By this I mean, when wisdom is developed, we feel the truth just as surely asseeing it within the mind’s eye as an intellectual thing. Therefore, Light Beings is most likely a reference to those individuals who have chosen to seek truth and begin the process of personal transformation that comes as a result. If the goals of creation are the progressive evolution of the universe and all things in it, then the technique for providing this is the receipt of truth within the consciousness of an evolving soul. Truth received and integrated imparts empowerment, upliftment, and self-mastery or sovereignty, which provide the required elements of knowledge and experience so as to heal or transcend the limited ego—that part of us which fears change and growth. The limited ego or the selfish separate self, seeks to build walls of false knowledge within the mind, which literally block reception of truth and prevent soul growth. When the limited ego has been transcended, a new being is born in its place, with enhanced abilities to make contact with greater truths in existence. Yet the trappings of personality stagnation are ever present. Always must we be willing to let go of who we are now, to become who we are in the future. In this sense, a Being of Light is one who has chosen to embrace what has been called conscious death. If our sense of self (the ego) is dependent on our knowledge and beliefs (what we accept as truth) then any time we gain knowledge or insight that alters this, death of the ego is sure to occur. Beings of Light actually seek out ego transformation and embrace the inescapable process of personality transcendence resulting from experience. Beings of Light seek out the darkness within their own minds so as to becoming living expressions of truth and in the process, constantly undergo ego death or soul growth. Initially, the process of ego death and personality transcendence is difficult, proportional to how much we fear change or love the limited ego. But as we cultivate gratitude for the evolutionary adventure of personal growth, gateways or portals to higher states of being are accessed. At first, simply the act of changing is enough to unnerve the young soul. We tend to fear the unknown due to the intensity of experiencing it, but as we gain knowledge, and the truth reflects within, structural integrity in consciousness increases and eventually it becomes comfortable to us. For example, we may initially fear news or current events, due to the pandemic negativity of propaganda media but as we gain an appreciation for the truth in all its forms, we eventually realize that this information can be helpful for interfacing with others so as to develop rapport. And eventually, we no longer fear the news as it becomes one more channel of information to stimulate the process of evolving consciousness within. In other words, all experience has a place in the evolutionary process and yet we must carve channels or gateways within our own minds to allow these tendrils of awakening to enter. The paradox of creation is that all things have value, and yet due to the limitations of existence, we cannot spend time exploring all things. Our bodies and therefore perception are limited by time and space, which means while all things can help us on our path, some things help us more than others. There are many paths up the mountain, but one path is faster than another. This statement seems to be referring to this process of gaining rapport with the universe so as to create receptors or gateways within the mind for continued evolution. The individual’s evolution is not a solitary journey in that as we progress we help others do the same by way of morphic resonance or entrainment. The term enlightenment—within some schools of thought—refers to a state of being wherein an individual has completely transcended their limited ego or selfish separate self. Once done, the impurities of ignorance or nescience that hinder truth reception and cause suffering are healed, allowing gateways of higher insight, inspiration, and empowerment to flood in. In other words, when we finally get out of our on way, we become beacons of truth for the universe, with Gaia as an intermediary or step down transformer. The Beings of Light are in effect the agents or ministers of Gaia, those individuals who by way of their evolved consciousness act as portals for her wisdom and love. This has the effect of stirring others who come in contact with these beings. Those who are on the path of falseness or turn away from the truth, become uncomfortable and uneasy; whereas, those who seek change and transformation through truth experience greater degrees of progress. Arguably some of you who are reading these words are becoming Beings of Light and as such take care to be kind and honor the process of growth for others which is balanced by free will. It took a lifetime of experience for you to get to where are now, and in our efforts to assist others we must be patient yet persistent, always seeking to heal the heart so as to awaken the mind. “Fleshes of stations are standardized for Higher Realms.” – The phrase fleshes of stationsseems to be a symbolic reference to a physical body, which acts as a focal point for consciousness, a type of stage or setting for the unfolding drama of evolution to take place. Consider that a purely intellectual thing such as a grand truth, is difficult to feel or perceive with the body directly. For example, the Principle of Causality or cause and effect states that all effects have their causes and all causes have their effects. But in the main, most people never make the connection that eating toxic processed foods have an effect on their health. Many people consume toxins as a part of their daily lives, and suffer greatly accordingly, turning to the medical system to ameliorate the symptoms. And the overall effect of poor health on the evolutionary process is a tendency to stagnate due to trauma. Generally speaking, we are not open minded to change when feeling the trappings of disease, which highlights the importance of maintaining purity within the body (the temple for the soul). But if fleshes of stations are standardized for Higher Realms then this suggests that the body is being prepared for connection with the higher realms—where truth is manifested more potently and as such able to catalyze the mind more powerfully. And since the body is the gateway through which our consciousness is catalyzed to evolve, then this suggests that great evolutionary jumps are expected as time goes on. But evolution is not automatic and it is dependent on polarization. The seemingly paradoxical nature of consciousness evolution is that it can progress either along the negative (service to self path) or the positive (service to others path). But as I so often mention in these interpretations, the service to self path is more than just the path of falseness, although it is based on an untruth. The service to self path is founded on the belief that one is separate from the divine (a false concept), yet in order to progress on must still lay claim to truth. In other words, regardless of what one’s path is, enhanced evolution still requires accumulation of truth (wisdom) and a choice to polarize, to become either more service to self or service to others. 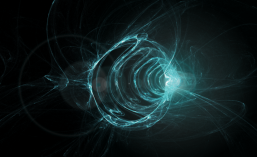 Therefore, the potential for evolution due to fleshes of stations are standardized for Higher Realms has increased, but an individual’s free will still needs to act in order to progress forward. “Outer barriers are relinquished.” – This is an interesting statement. I couldn’t help but think of the Outer Barrier mentioned by the alleged secret space program insider and whistleblowerCorey Goode, who states in his testimony that the Sphere Being Alliance erected an energetic barrier around the solar system and local star cluster. This barrier apparently is used to protect the creatures within the worlds in it from interference from more nefarious beings. According to Goode’s narrative, the Sphere Beings are also the group known as Ra in the Law of Onechannellings, and is also group connected to Thoth or Hermes Trismegistus. These beings within a Gaia Portal interpretation would be considered Beings of Light or Hue-beings those who have progressed so far along the path of personal evolution that the separate selfish self has been transcended. Once this occurs, the higher self or the spiritual self can more acutely manifest within the evolving individual. The mind changes when this happens so as to stop blocking the insights of the universe, which eventually leads to a direct knowing or cognition of universal will. In other words, when one becomes enlightened or transcends their selfish separate self completely, they enter into a covenant with the divine to do it’s will and realize the plans of creation. According to Goode’s narrative, the Sphere Beings came here to assist humanity in this moment of evolution, when Gaia becomes a consciously active participant in the evolutionary scheme of creation, and all her children are offered an opportunity to do the same. The outer barrier in this sense is a kind of quarantine that allows the younger souls of existence within the solar system to continue their progress unhindered. But according to Goode, this barrier was taken down some 500,000 years ago. It was at this point when genetic farmer races invaded and began the slow enslavement of the planet—more or less. But in late 2014, the barrier was erected again as a result of the Cabal attacking one of the Sphere Being Alliance spheres. But the thematic element of Goode’s narrative is more important for contemplation than debating if it is true or not. And this theme is that higher orders of life because of their capacity to know and comprehend reality (universal will), act as custodians or guardians for the younger souls. Much like all children need parental figures to help them grow into adulthood, in a universal capacity, races who have progressed further along become emissaries for the creator, reaching down to lift up the creatures of time and space as they pass through their initiations and trials. If this barrier refers to the same kind of quarantine effect then the relinquishing of it suggests humanity is ready to take the training wheels off or has evolved enough so as to receive more advanced training. Using an individual context of interpretation, an outer barrier would be a blockage created in consciousness so as to protect the mind from the truth. In this way, our beliefs, ideas, and worldviews, if left unchecked, become barriers for the truth—the only thing that has the power to initiate evolution. But if these barriers are being relinquished then it suggests that these individuals lost in the trappings of delusion are letting their guards down, and as such, are more capable of experiencing personal change as a result. In time, after an initial period of adjustment, the minds of these individuals will be more receptive and open the wisdom pouring in from experience, an offer of evolution and soul growth from the divine. “Moorings of Galactics are formed.” A mooring is a place where ships are anchored or tied into place. Mooring of Galactics is a phrase suggesting that galactic are being anchored in some way, most likely anchored into the Earth and the consciousness developing within it. I think this statement is suggesting an attribute or quality more so than actual beings like extraterrestrials of some kind. A quality of a galactic would be a state of expanded consciousness, some level of recognition of universal consciousness. For example, most people on Earth believe that there are no extraterrestrials and the universe is a lifeless place. But one who acknowledges the truth that the universe is teaming with life, and that the creator is in all things, then all things must be alive—is possessed of a more expanded consciousness—a galactic attribute. In other words, the characteristics or qualities which impart access to the higher realms are being anchored ormoored. The statement does not specify where or how these moorings of Galactics are formingbut if we assume that it is a general descriptor, it would suggest all beings are experiencing change so as to receive galactic insight more directly. No doubt as time goes on more visible signs of these changes will present themselves. And as individuals, our task is always to push the limits of our own evolution to continue walking up the mountain of spiritual attainment. Interpretations: “Celestial Guides gather in Oneness for each hu-being.” – The term celestial refers to things in the heavens, located or appearing in the skies above the Earth. A celestial guide would, therefore, be some kind of assistance provided to hu-beings from those entities that reside in the heavens. For example, astrology is generally the study of celestial influences on the Earth, usually related to an individual and their soul growth, but could also refer to groups of individuals or entire populations. The term hu-being within Gaia Portal updates refers to those individuals who are on the path of falseness, who are unenlightened and laboring under some degree of separation consciousness or the negative ego. The prefix hu relates to colors and light. 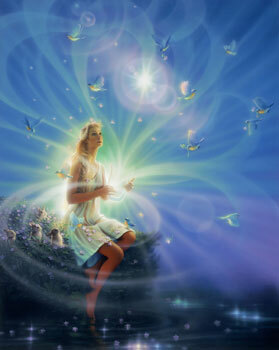 The celestial guides are gathering in Oneness, which suggest they are working in a coordinated fashion. The term oneness generally refers to unity, coherence or harmony. When two people agree on something, their minds are one, their thoughts are coherent or in harmony with each other. In this case, the same kind of harmony is taking place, which is mental and physical in nature because they are gathering, suggesting motion of the body, which must, of course, be sourced from a desire in mind. In other words, the celestial guides are working in concert, and so long as the goal or plan is in harmony with the universe at large—the plan or goal of creation (the will of the creator)—then they are also in spiritual oneness. In other words, these guides are beings who have chosen to do the will of creation and as such can now act as angels or agents of source. All of this is describing the agency of ministry or loving selfless service to others guided by the plans of creation. By selfless, I do not mean the self isn’t considered, for to serve others also is an act of self-service. By selfless I mean the primary reason or justification for doing a working is not self-centered, meaning only for oneself. And the nature of this service is directed towards the each hu-being. This suggests that the type of ministry being sent is unique or attenuated for each individual. For example, if a teacher was addressing a whole classroom, they’ll use words and phrases that have a more general meaning. But when addressing a single student, the teacher can be more effective in assisting the student if they tailor what they are saying for what the student can comprehend. This is describing the concept of attenuation, whereby in order to transmit information, one must alter or change how it is delivered depending on who or what is receiving it. Consider that information transmitted over a phone line, in the form of analog telephonic signals, cannot be transmitted via an internet cable, which is digital. In order to transmit the analog signal using the internet, it must be converted into digital information. Today we call this Voice Over IP or VOIP, with most cable companies offering it to their customers. This process of conversion is called attenuation. Generally speaking, we are constantly attenuating internal ideas and information for transmission into the world around us. If we’re happy and in a comfortable place, we may decide to express ourselves by dancing or singing in joy. But if were not in a comfortable place, like our job, we may express this sense of happiness by smiling to ourselves. This is one example of our internal state of being expressed outwardly in a way that is tuned or attenuated for our environment. When communicating with others, the same process and principles are at work, just in a different fashion. Taking all this into consideration, the celestial guides on high are essentially singing a song of love for each hu-being on the planet. No one’s song is the same, although they may sound similar. This suggests that those who have held back the shift or ascension the most (the hu-beings) are receiving incredible guidance at this time. And so long as they are willing to accept it, deep and powerful changes are sure to follow, which will be in harmony or oneness with the plan of creation. Who these guides are is uncertain. They could be planetary bodies or actual non-terrestrial intelligence, such as what is described by contactees and insiders. “Messengers of Light are sent to all.” – In the above statement, the reference to celestial guides is equivalent to the concept of an angel. The term angel in Greek means messenger, an agent or spokesman for God or the creator. If this is the only qualifying attribute, then anytime someone makes contact with universal will via the use of their discernment or mind, and then speaks or shares that information with others, they have become an angel. In this sense, a messenger of light would be an angel. The term light is symbolically connected to true knowledge or wisdom. The brightest light of our awareness is within the conscious mind, a focal point of consciousness, which disburses into unconsciousness as one moves out from the center. The geometry describing this relationship is a toroid or torus. This means that in order to generate true knowledge, one must use both aspects of their consciousness, the conscious and unconscious mind. These two aspects of our being can also be described as masculine (conscious) and feminine (unconscious). To be clear, one is not more important than the other. They are both vitally important to acheiving spiritual progresses and personal evolution. Taking this into consideration, if messengers of light are sent to all, then this must mean each individual whether hu-being or Hue-being is receiving divine guidance at this time. And the potency of the messages is very strong because they are attenuated for each individual. In other words, if we can simply open our minds and hearts to this guidance, the degree of spiritual change felt will be great. But in the process, we will be forced to let go of what was. For before we can set foot on a new shore, we must pull our feet off the old one. “Recognition from the masses is at hand.” – The term recognition refers to the act of cognizing something again or taking notice of something in mind so that we consciously connect a newly formed idea with what it corresponds to in life. For example, seeing something for the first time is a special event because we have no preconceived notion of what it is. If we never saw the alphabet before, we wouldn’t have any idea what the letters mean. But after being exposed to something new or novel, aspects of it are reflected within the mind, infused within our beingness. The second time we see something, recognition occurs, which is the conscious marking of a memory or thought in mind to an object outside of us. The importance of this cannot be overstated because while we may not be aware of it, our consciousness, via the feminine aspect of mind (the unconscious), we are constantly recording everything we experience. The unconscious mind forgets nothing. When observing something we have experienced in the past, the subconscious mind triggers the recognition of the thing from the unconscious, but the quality of what is recalled depends directly on how well we cognized it in the first place. For example, if we never paid attention to the details of a book, when reading it a second time, we may get a hazy feeling or impression that it is familiar to us, but we won’t know why. Yet if the book was one of our favorites, the details of it are recorded more clearly in the conscious mind, and as such, it can be recalled more clearly. In the later instance, we will recognize that we’ve read the book before because of the specific things we are conscious of as we read it. All of this is important to know because there is a very real difference between cognition and recognition, the most crucial being that what makes information empowering is how well we can recall it within the mind. Remembering something in a hazy unsure way doesn’t impart much insofar as insights or guidance, but remembering something clearly gives us specific knowledge which can be used to develop a plan of manifestation (a goal or desire), which is how we do everything to change ourselves and the world around us. Taking all this into consideration, the phrase seems to be suggesting that the masses are going to be recognizing something. Most likely the thing being recognized is that which was first observed upon incarnation, the experience of knowing with almost total clarity that we are the creator incarnate. Consider that when being born on Earth, we know nothing, the fleshly mind is blank, yet the spiritual mind is filled with well night absolute knowledge. And this spiritual knowledge imprints onto the fleshly mind at the moment of conception. Eventually, as the fleshly mind begins to absorb and process information, we disconnect from this spiritual knowing. This is mainly because of the current state of affairs on Earth, and that humanity at large is operating with separation consciousness. But if we remembered this primal moment of oneness with total recall, all the experiences that came after which caused us to feel separate will transform into a recognition of divine oneness. In other words, the game is rigged for unity, coherence, and oneness with the all. We can labor under the delusions of separation for a time, but eventually all falsehoods collapse under the weight of denied truth. The biggest truth we deny on Earth, from the seemingly most spiritual to the average person, is the universal or interconnected nature of all things. And if this moment is close at hand then it suggests a truly monumental shift in human life is not far away. But as mentioned before, we must be prepared to let go of who we were to embrace who we are becoming now. “Fomenters are extinguished.” – The term fomenter is one who instigates or causes trouble, controversy or problems, in an unproductive way. A hu-being could be characterized as a fomenter because, in their refusal to seek the truth (a selfish act) they hold back the rest of humanity and consent to tyranny and slavery due to self-imposed ignorance, albeit unwittingly. Or a fomenter could also be the Cabal, who consciously choose to create problems and harm others. In either case, the behavior or modality of fomenting is likely the thing being extinguished here. The person itself is probably not put out, which is what the word extinguish means. The statement seems to be suggesting that one’s desire to foment problems for others, because selfishness, is being extinguished. And as we described above, everyone on Earth, for the most part, is laboring under some amount or level of separation consciousness, which means we can and do act selfishly. But because recognition from the masses is close at hand, the days of selfishness and separation are going to end, and along with it an extinguishing of fomenting. “Heavenlys arise.” – The term heavenly is an adjective modifying a noun to indicate it is of the heavens. In this case, the term seems to be a reference to the quality of being heavenly, meaning that one can act in a heavenly way. This method of being is what has been described as universal consciousness. For if we consider separation and unity as two ends of the same pole, then the opposite of separation consciousness is universal consciousness. When the reasons for our actions become universal in scope, considering all things and beings, then this could be called a heavenly attribute. And if we analyze the behavior of ascended masters, such as Jesus, Joseph, Thoth, and so on, as described by mythical works, the consciousness they invoked to guide all their actions was most definitely universal in scope. In other words, when we justify our desires against a desire to do no harm and cause no damage to all beings, this is an example of universal consciousness, wherein heaven rises within as a recognition of the spiritual way, the universal or creator’s way. Therefore, anything that is not universal in scope is separate by nature. Even if it has no overtly negative effects, if it is not universal, it is separate and therefore limited. This means that redefining what we consider selfish and universal is crucial because the current meanings of these terms are inadequate. A plague of selfishness touches the hearts and minds of all beings on Earth but thankfully the truth of universal oneness is always close at hand, able to be recognized so as to dispel the illusion of separation.